Why ruggedized electronics are critical components of Direction Finding and Locating Systems? 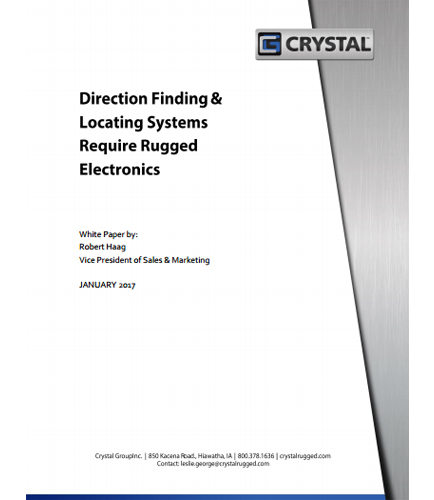 "Why ruggedized electronics are critical components of Direction Finding and Locating Systems?" Direction finding and locating systems are typically used in aerospace and defense, law enforcement, homeland security, public safety and other fields to detect and locate electronic signals. This whitepaper highlights the modern rugged computer and network technology for deployment in hostile environments of extreme temperature and vehicle-caused shock, including an explanation of working and benefits of signal detection technology. The comprehensive, ground-based system attributes transportable shelters, antennas, rugged electronic gear, and processing software that can withstand years of use in extreme conditions.